The Olympic Winter Games is nearly upon us, and the press machine has already been in full-force during the run up… but sadly, not in an altogether positive way. The furore caused by the denigration of gay athletes and visitors by Sochi’s mayor (and the wider administration) is, as many have been quick to rightly criticize, counter to the spirit of diversity that any Olympic event should be all about. 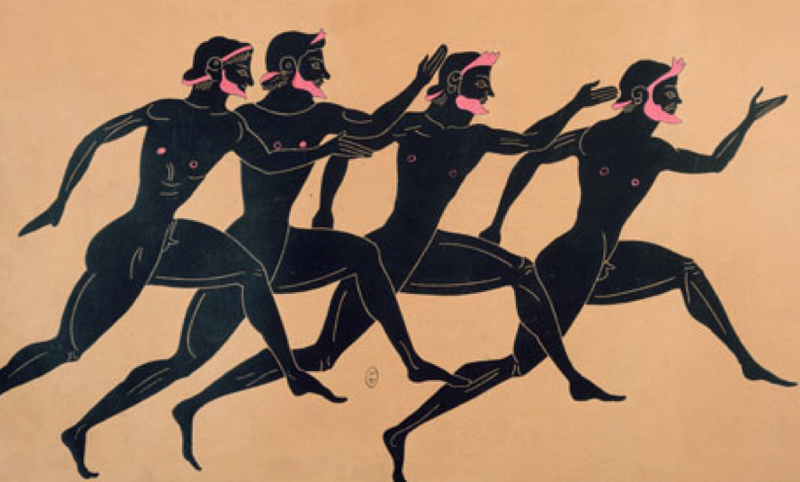 And really, it would be all to easy to point out that the anti-gay propaganda defies the very origins of the Games given that it began with buck-naked, muscular Grecians getting oiled up and wrestling with each other. But since the silliness has now been busted wide open, hopefully this will mark a turning point for Russia. 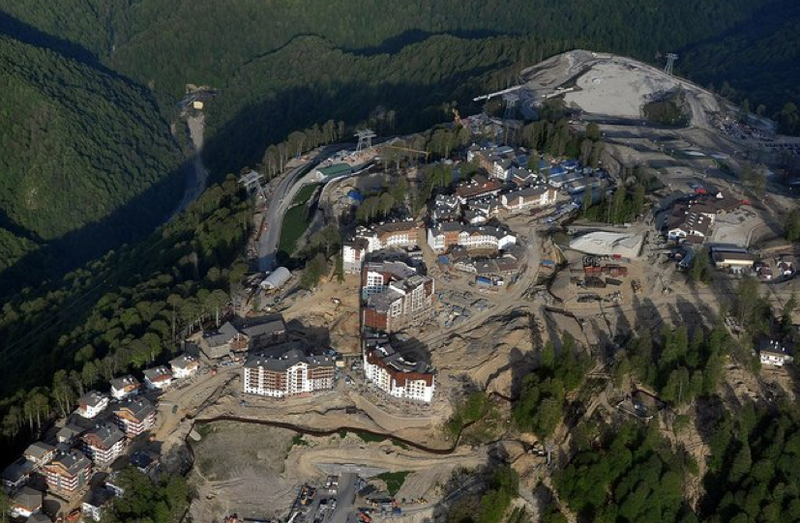 Either way, there’s currently not much more to say on the issue that hasn’t already been said, so let’s get on to another important topic that hasn’t received quite as many column inches: sustainability at the Sochi Games. Long before Sochi totally forgot what the word ‘budget’ meant (having overrun the original $12Bn budget to become the most expensive Olympics ever at $51Bn), the organizing committee made some heady claims about becoming the first ever carbon-neutral Games event. Sochi was not the first to pledge this aim; Vancouver (with its 2010 Winter Games) and London (at the 2012 Summer Olympics) also shot for total carbon-neutrality, but ultimately ended up falling short. So is Sochi on track to achieve this goal? It’s a tough call to make at this stage, but the prognosis is looking precarious. Numerous impressive green initiatives were announced shortly after the bid was awarded, and for the most part, these have been delivered upon; five saplings have been planted for every one tree felled, fishing populations have been replenished, eco-friendly sewage treatment and energy plants have been constructed, and further measures have been put in place to offset the carbon footprint caused by mass travel to the games. The various initiatives have been instrumental in both improving economic prosperity to the region as well as offsetting the 160,000 tons of carbon dioxide expected to come as an indirect result of the games. In addition, the official Olympic partner for the games – Dow Chemical – is pledging direct construction offset measures as part of its “Sustainable Future” program. These are predominantly in the form of implementing low-carbon technology to help improve green industry and architecture across Russia. Naturally, Dow Chemical has its own operating footprint to offset, which it plans to do by siphoning off methane gas from landfills (in Georgia) to power nearby plants. While generating power from disposed waste is not a new scheme – for instance, the Poly2Petro process can turn the kind of plastics discarded after an Olympic event into readily usable fuel – the scheme is one which is expected to offset the lion’s share of Sochi’s carbon footprint. At surface level, this all sounds like good news but many commenters have expressed a lot of justifiable doubts as to whether it’ll all pay off in the end. 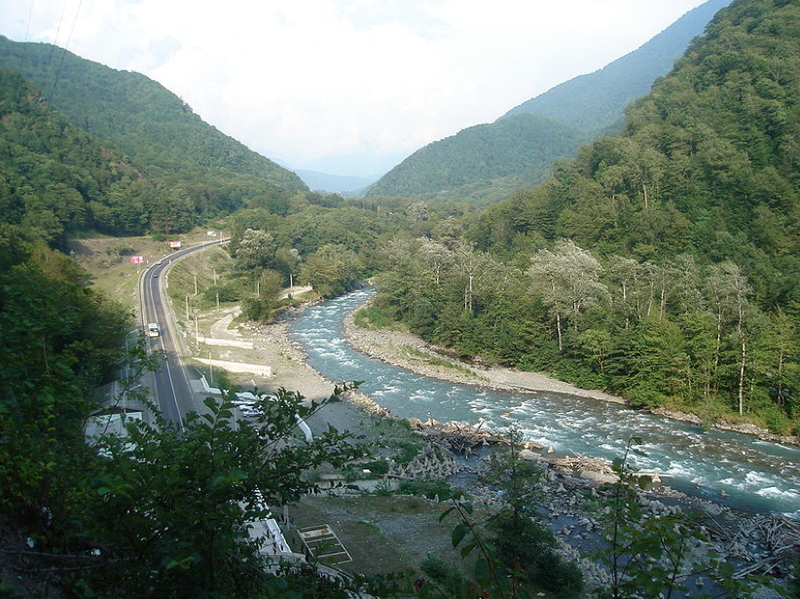 Numerous scientists and climate change experts were dismayed at Sochi’s bid to conduct mass construction efforts near the Caucasus Biosphere Reserve (a protected UNESCO heritage site), but plans went ahead regardless with seemingly disastrous results. While it’s all well and good to use efficient landfill schemes to successfully offset the carbon dioxide generated from millions of people congregating in one place, this achievement is marred when an entirely new landfill is created in a protected water zone. 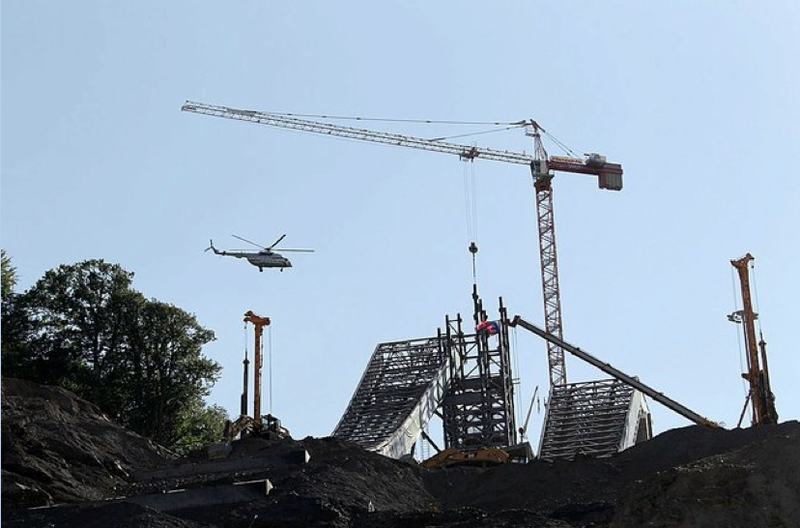 And that is exactly what is happening here: according to reports trickling down from the Associated Press, Russia’s government-controlled train monopoly has been dumping waste from its construction efforts en masse into the Mzymta River Valley. Around 5,000 acres of forest have already been lost, which is already enough to irreparably alter the ecosystem of the national park. Russia’s blanket response to any protests raised is that ‘dumping has ceased’, despite no evidence to back this up. This raises the question as to whether there is more going on behind the scenes that we’re not aware of. More worrying still is that we may never know the full story, given that speculation about authorities silencing activism efforts are running rife. … just pay no attention to the man behind the iron curtain. Weldon Zeke Iddon! You have posted fabulous article. I appreciate your post and amazing work! Its too interesting post and informative also. You have done wonderful job Zeke! I have not seen as post yet before. I really appreciate your hard work. Nice to read your post every time I read it. Make it continue to writing.